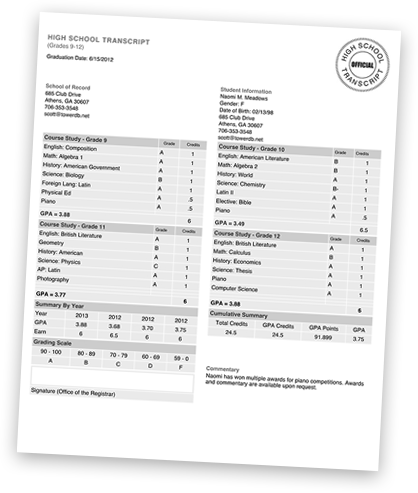 Fast Transcripts tracks high school courses via online record keeping and helps you produce an official transcript with auto-calculation for determining yearly and cumulative GPAs. Send your transcript electronically via Parchment, accepted by 4,500+ colleges & universities! Forgot your password? Don't have a Fast Transcripts account? Create one now. It's easy! Copyright ©2012-2019 Fast Transcripts LLC. All rights reserved.